Working together to create smart collaborations through Partnership Marketing. This is for you even if you don't have a business (yet)! This presentation is aimed at the small to medium tourism business to explore and inspire them to consider partnership marketing as key criteria in their overall marketing mix. There will be a great focus on identifying the benefits, opportunities and cost effective ways they can grow their business through collaboration and strategic joint venture partnerships. Participants will be encouraged to think outside the box as they build products, services and experiences to enhance their brand and bottom line. InstituteOfExcellence.com is a boutique training solution that started in 2014 with one very clear mission: inspire excellence in people. As a lover of all things tourism and the small business community, she serves the passionate people behind the brand who struggle to figure out simple, practical and cost effective ways to maximise and grow their business through digital, social media, distribution and partnership marketing. 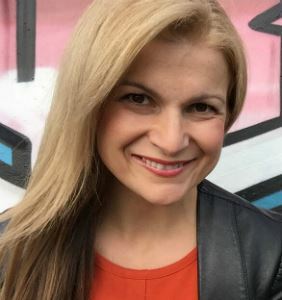 Despina helps businesses dominate in their industry by teaching business owners, marketing managers and entrepreneurs alike how to grow their presence on and off-line to turn those likes into LOVE and actionable business outcomes. After several starts, and through a couple of World Wars, the Korumburra Golf club settled on its current location in 1933. It started with just 35 members. Now the club boasts around 300 members, and some beautiful views.